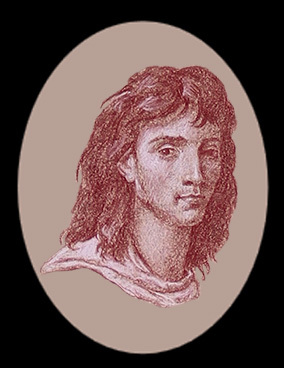 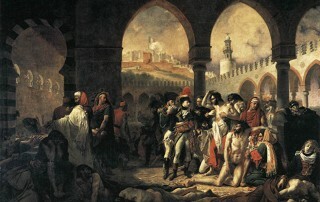 Antoine-Jean, Baron Gros, took over the responsibilities of running the teaching studio of his master Jacques-Louis David upon David’s departure for exile in Belgium. 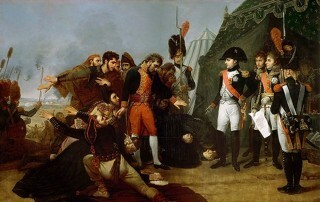 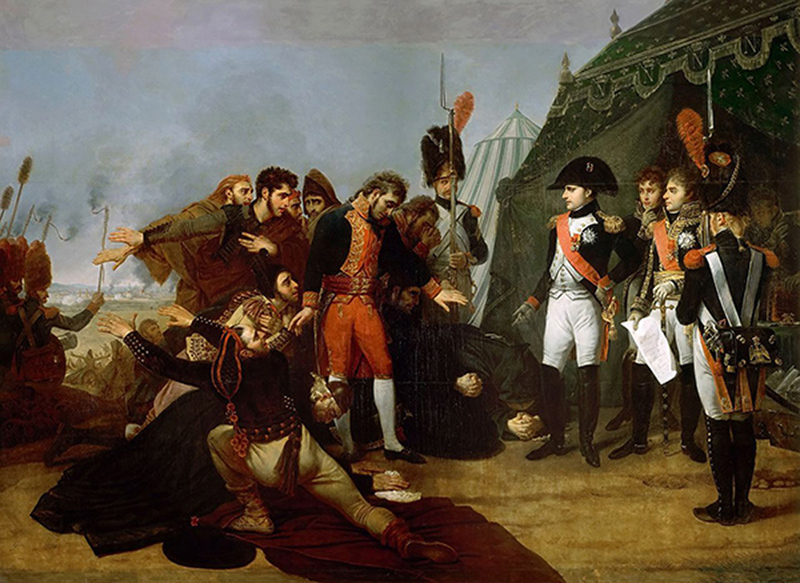 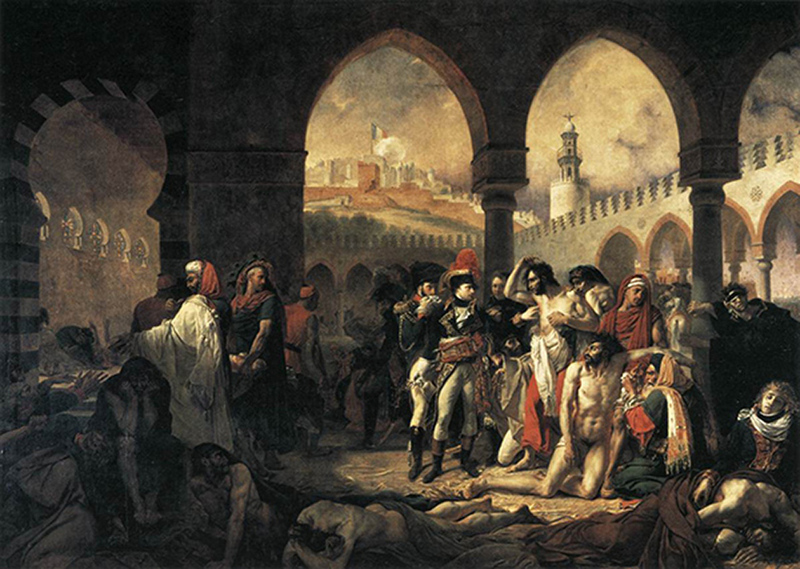 Gros had already spent years in service to Napoléon Bonaparte, traveling with him to inspect art from conquered cities to be added to the collection of the newly opened public museum, the Musée du Louvre. 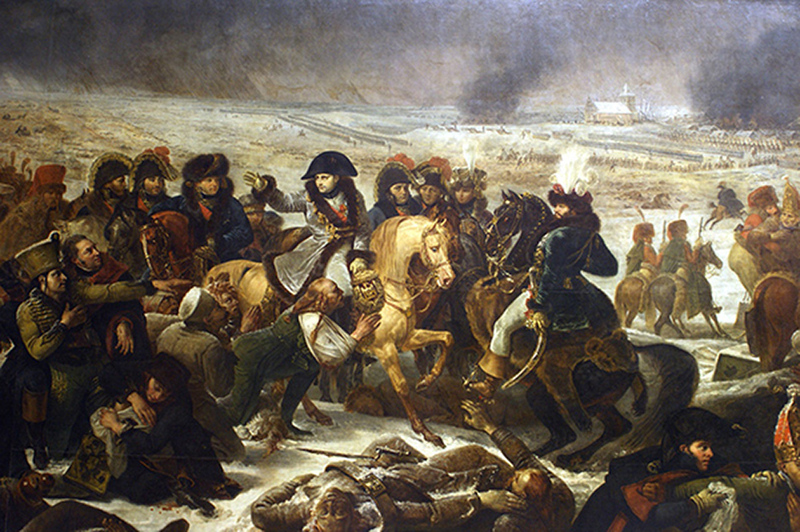 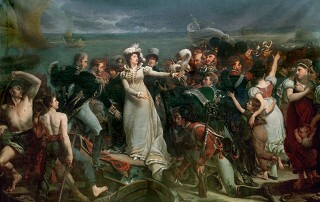 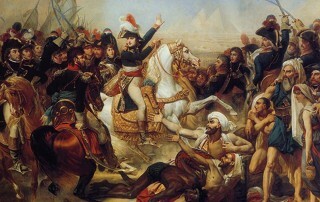 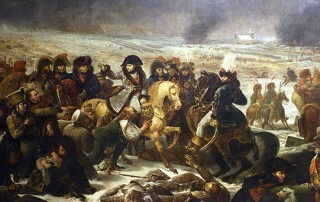 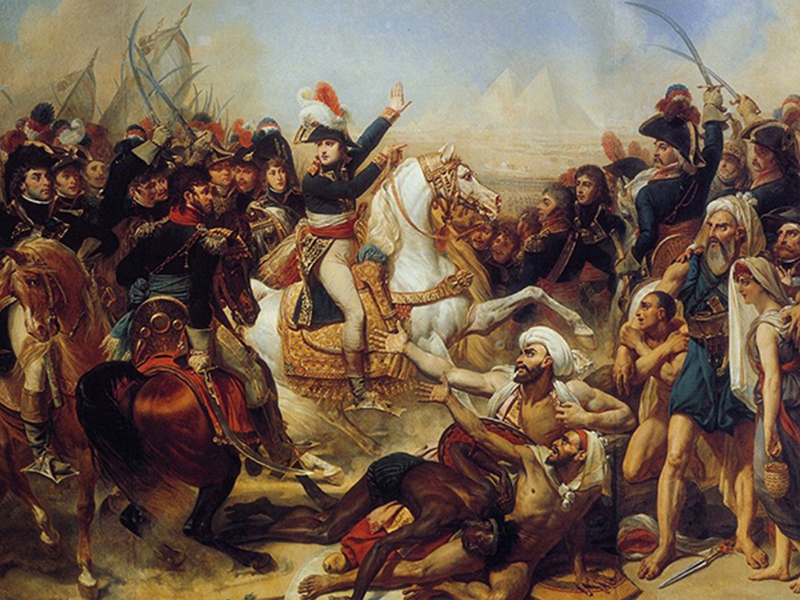 Gros had been trained as a painter by David, and Napoléon also kept Gros busy with commissions for the large scale propaganda pictures of important battles that would bring him fame. Gros successfully weathered the transition from the reign of Emperor Napoléon to King Louis XVIII to become one of the most honored and revered painters in France, fulfilling commissions for the Bourbons.